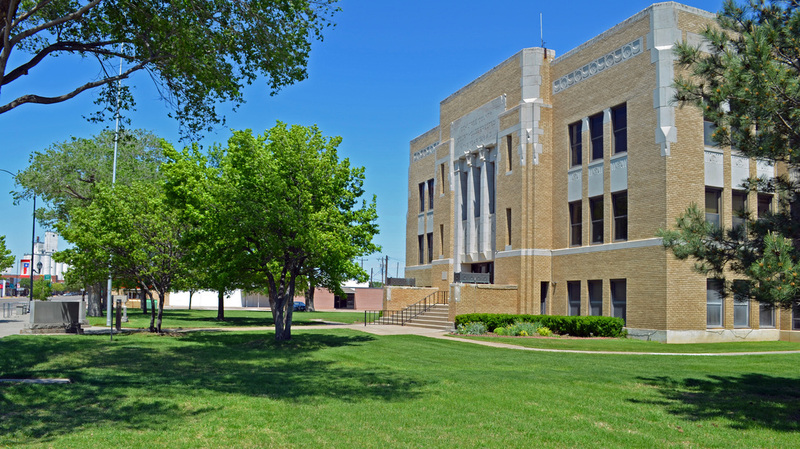 "Ochiltree County is in the far northern Panhandle, bordered on the north by Oklahoma, on the east by Lipscomb County, on the south by Roberts County, and on the west by Hansford County. 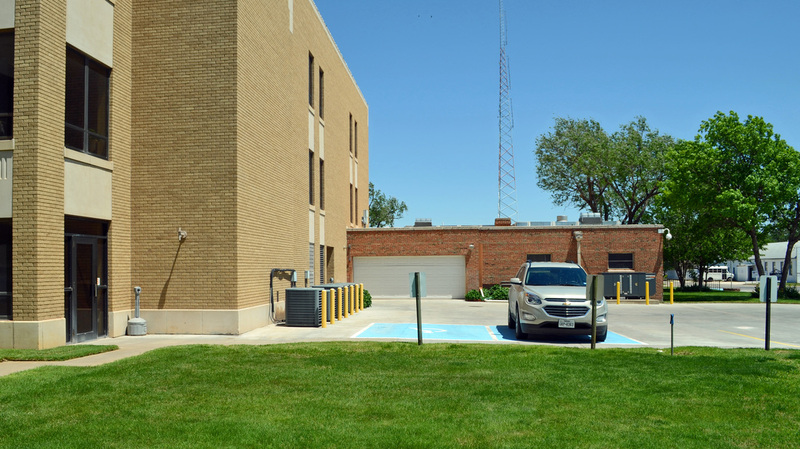 Elevations range from 2,600 to 3,100 feet above sea level. 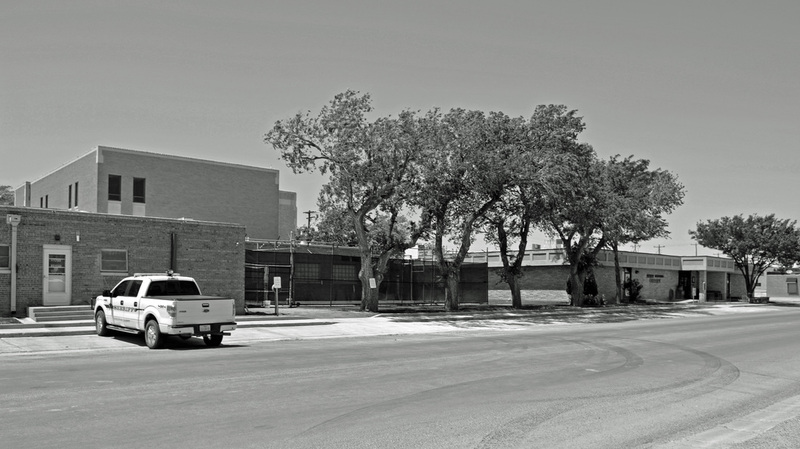 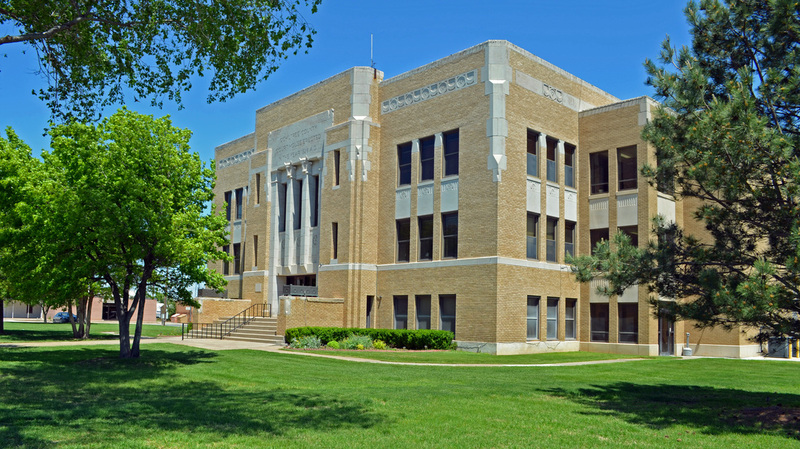 "In 1876 the Texas legislature established Ochiltree County from lands formerly assigned to the Bexar District. 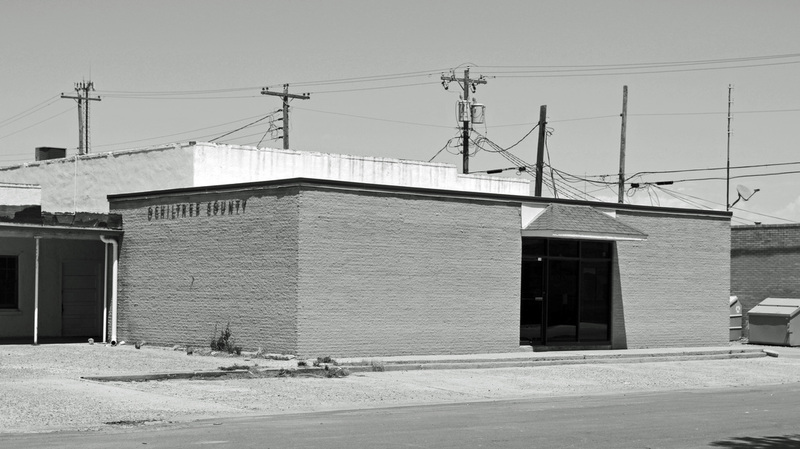 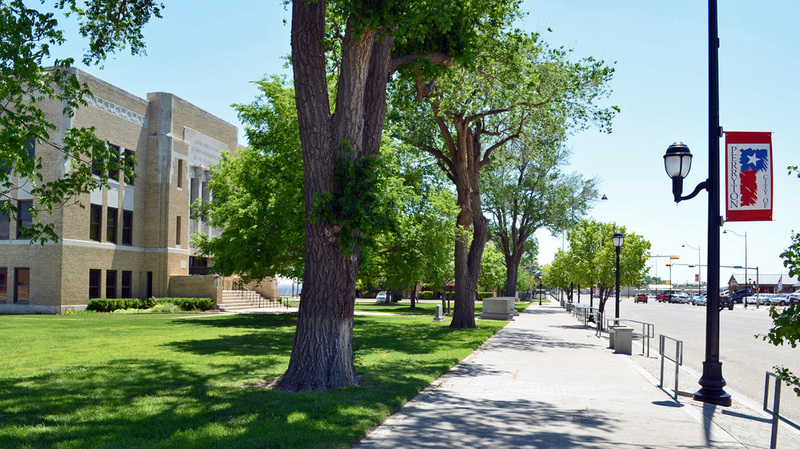 The area was named for William Beck Ochiltree, a Republic of Texas judge, secretary of treasury, and an officer in the army of the Confederacy.The urban development of Ochiltree County reflects its evolution from a ranching to a mixed economy. 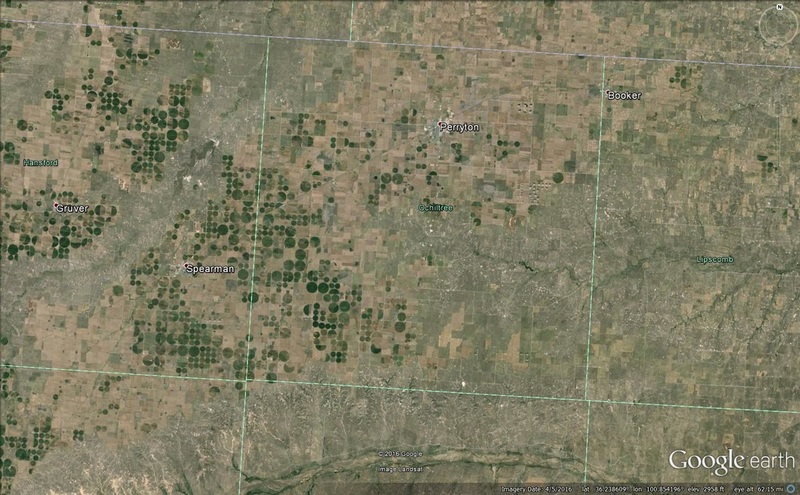 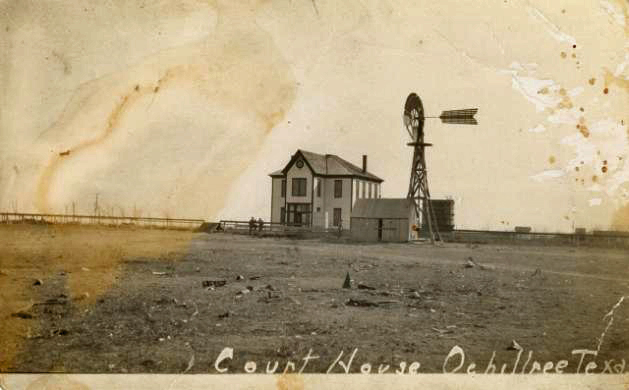 The sparse ranching population of the 1880s and 1890s revolved around the village of Ochiltree, in the central part of the county fifteen miles south of the site of present Perryton. 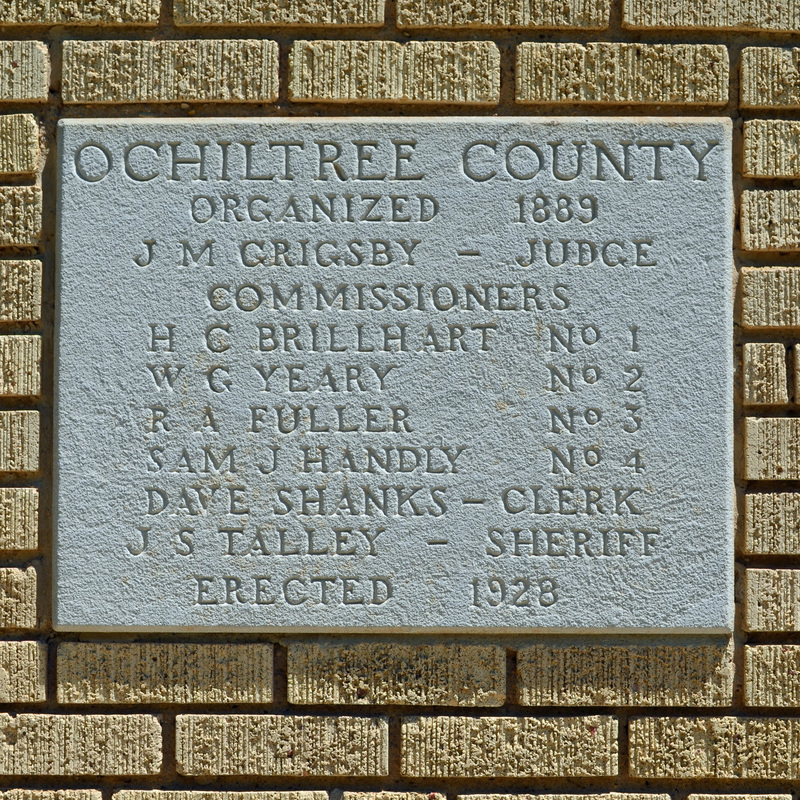 Ochiltree, founded in 1885, became the county seat in 1889, when the local residents decided to organize the county. 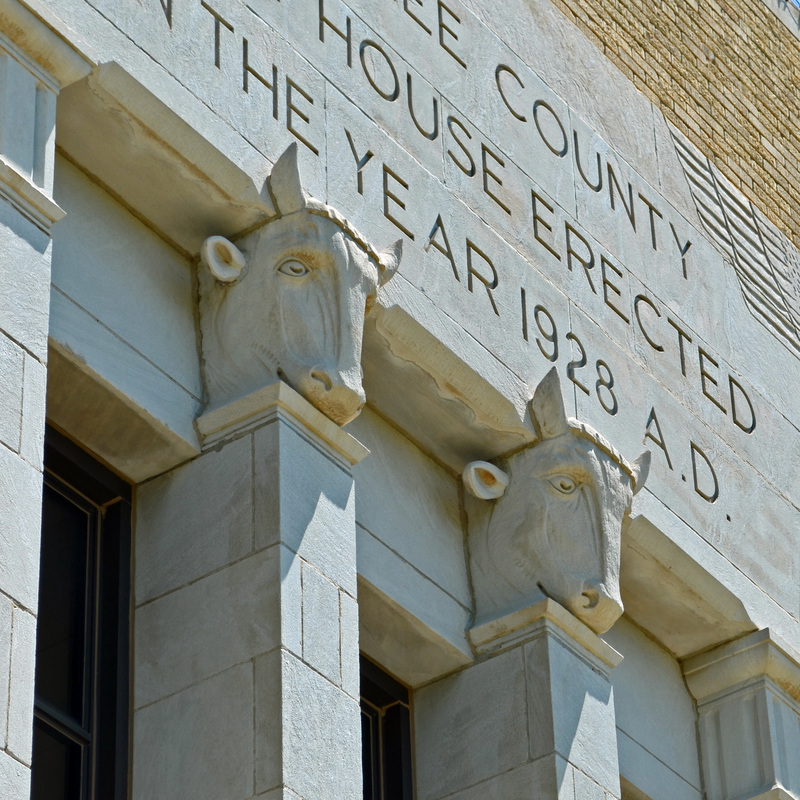 The construction of the North Texas and Santa Fe Railway, a Santa Fe subsidiary, from Shattuck, Oklahoma, to Spearman, Texas, in 1919 altered the county permanently. 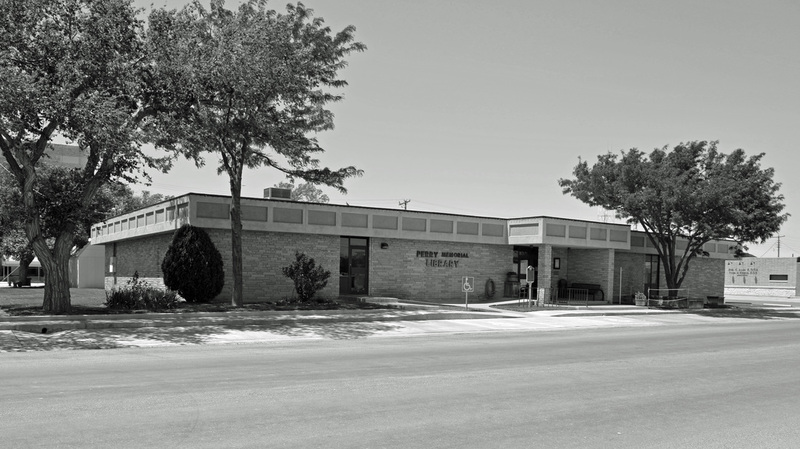 "Ochiltree, fifteen miles south of the railroad, found itself at a distinct disadvantage when a new town, Perryton, was laid out on the railroad in 1919; Perryton was immediately made the county seat. 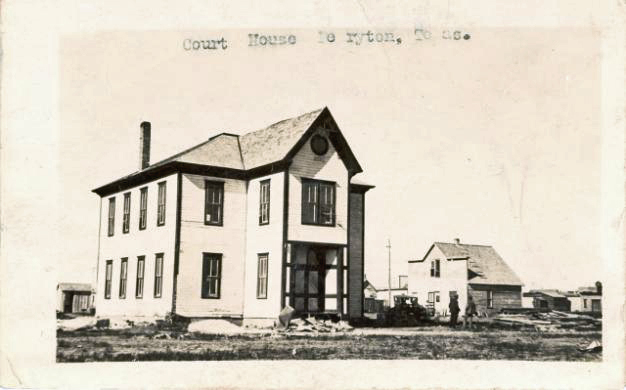 During the next year the entire town of Ochiltree was moved to Perryton, and by 1920 Ochiltree had disappeared completely." 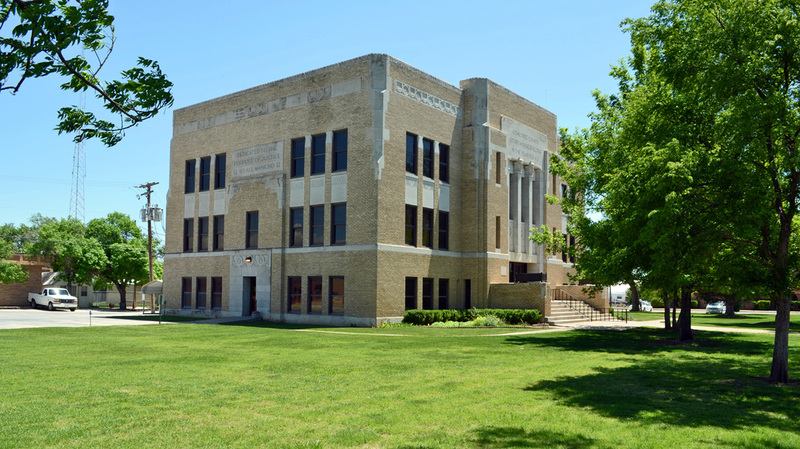 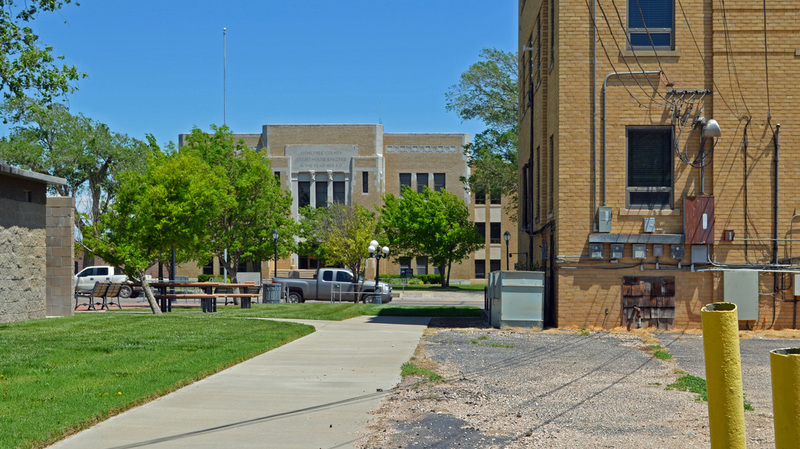 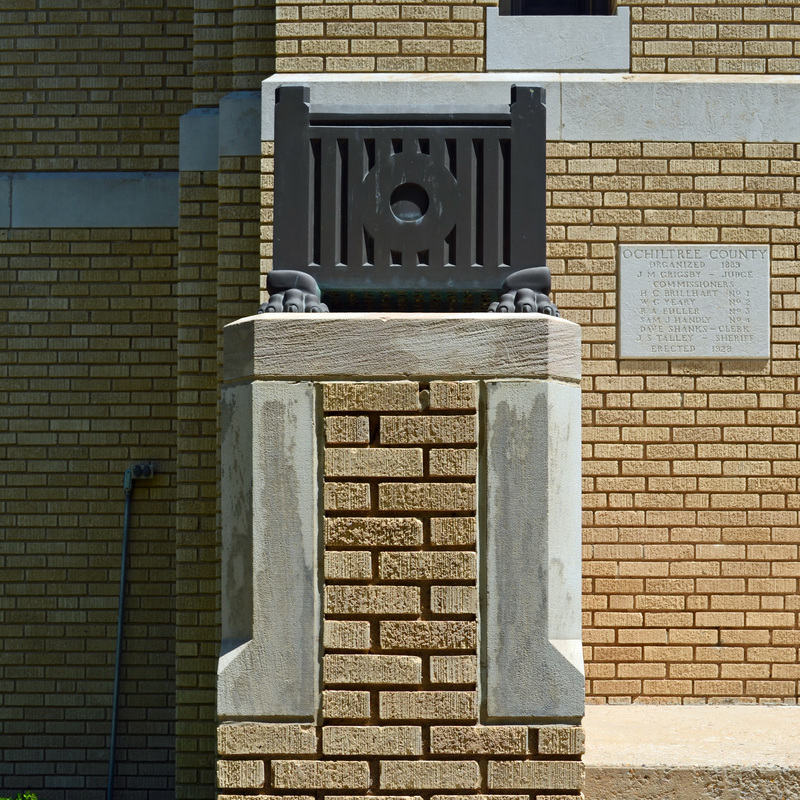 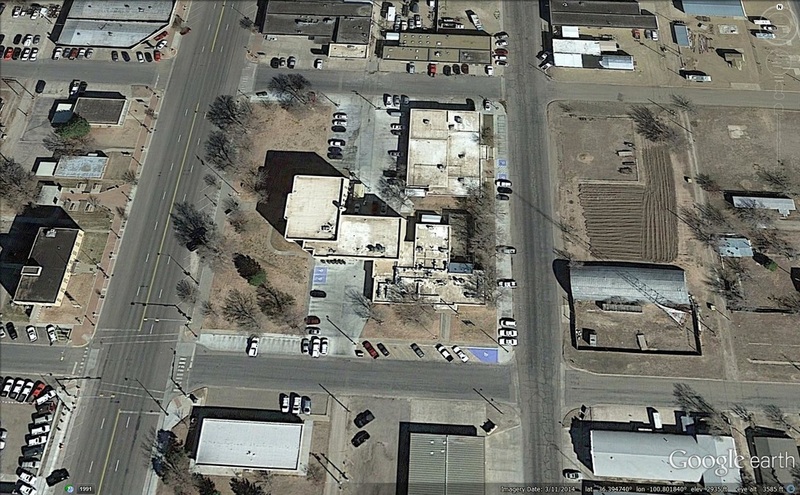 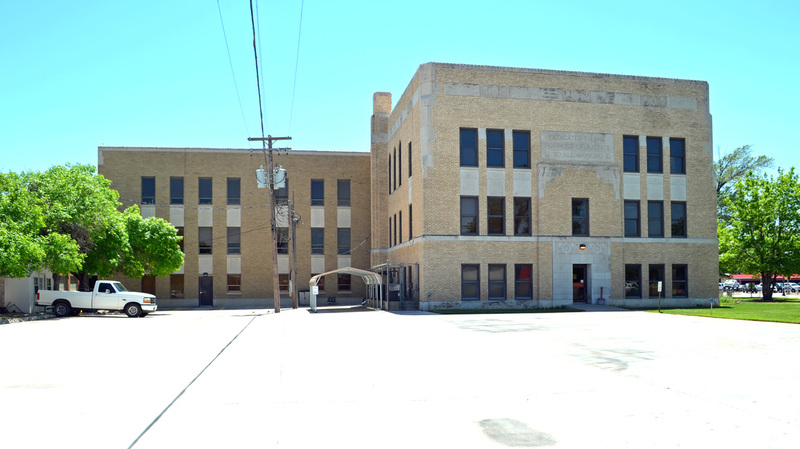 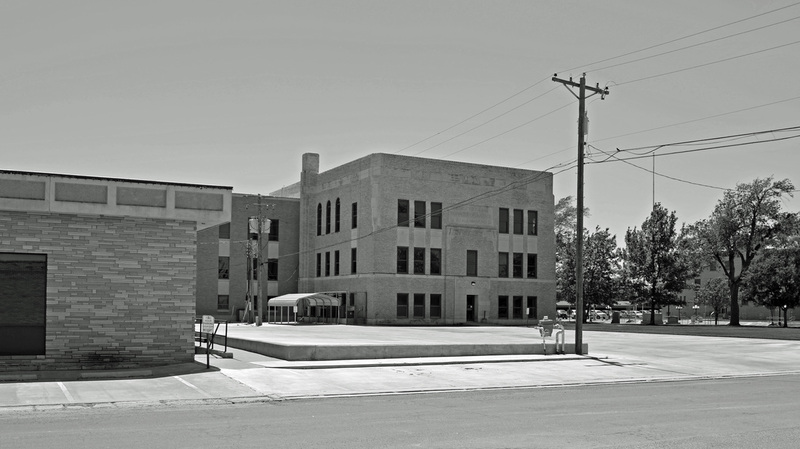 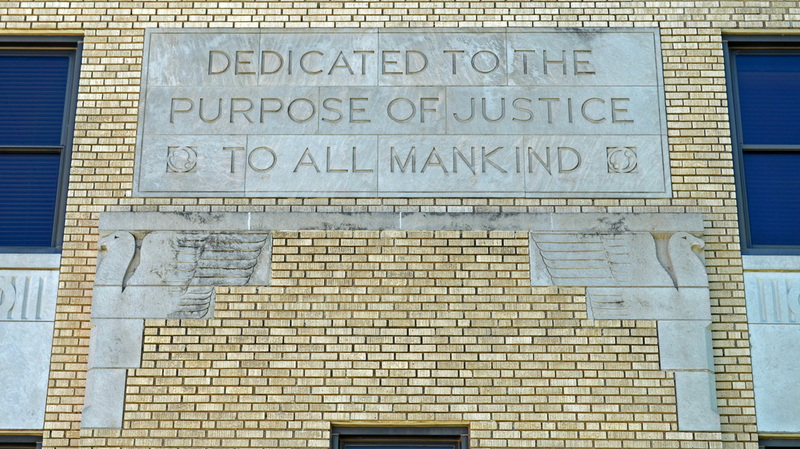 Handbook of Texas Online, Donald R. Abbe, "Ochiltree County"
I visited Ochiltree County and photographed the courthouse in Perryton on May 7, 2016. 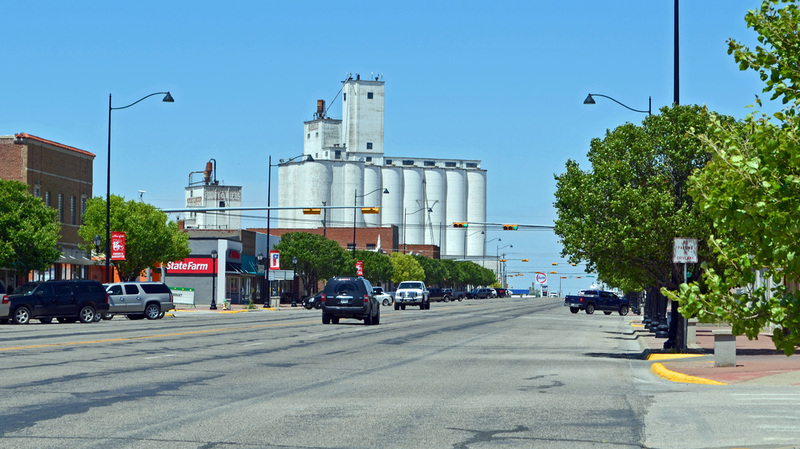 Perryton is the northernmost county seat in Texas. 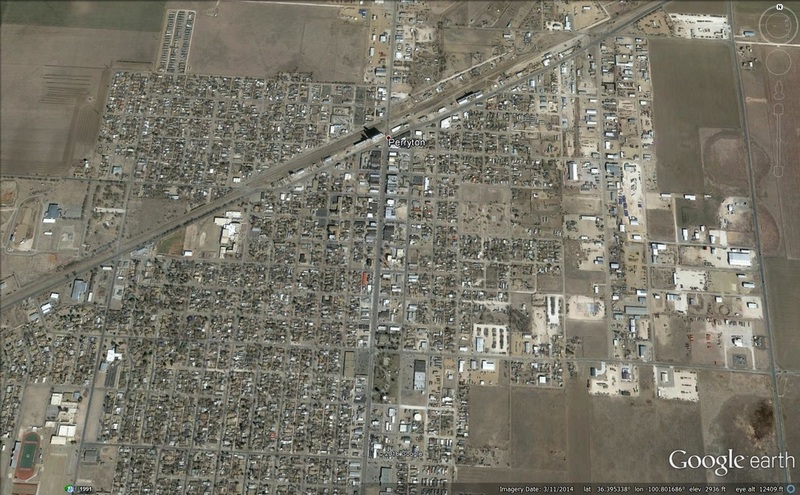 Alas, the railroad that gave birth to the town has been abandoned. 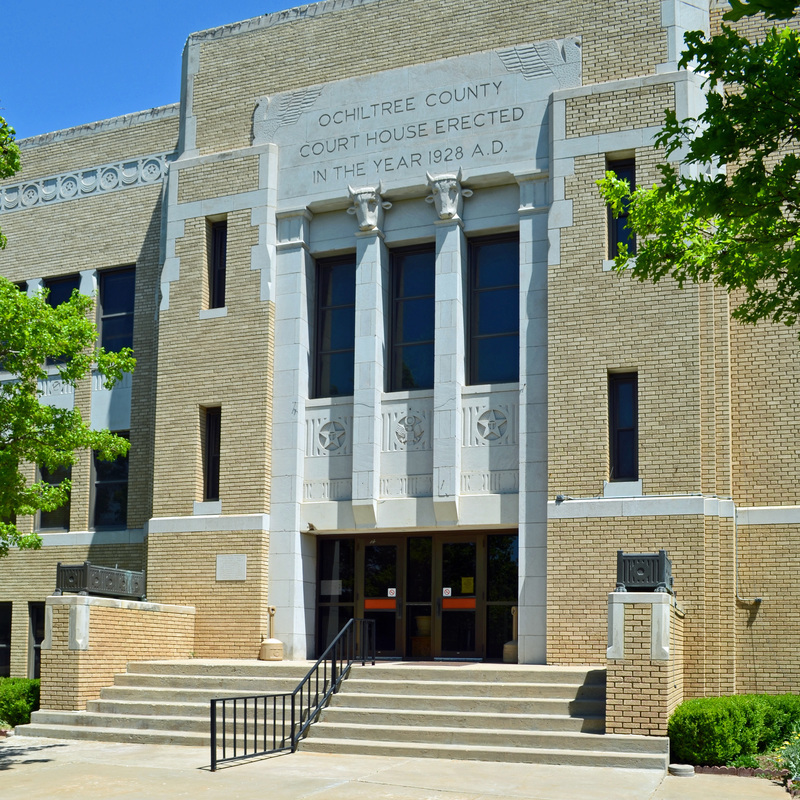 The courthouse square is on the east side of Main Street (US 83). 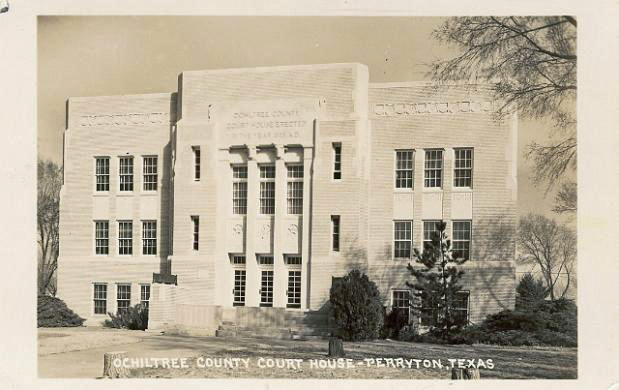 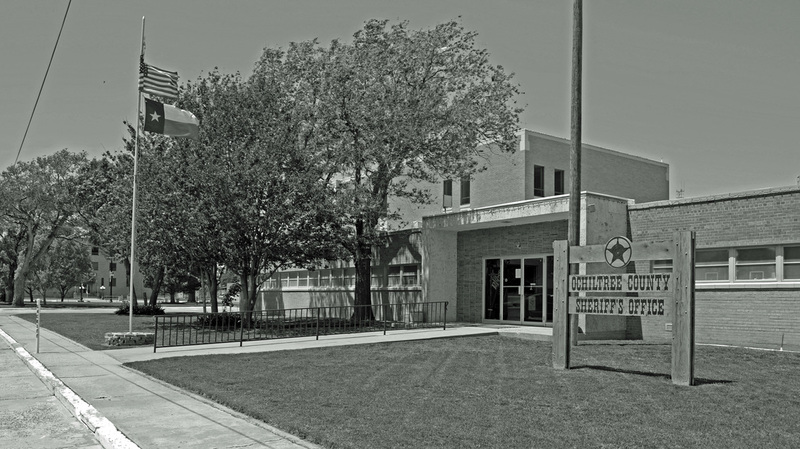 A large addition to the courthouse was constructed in 1974, linking the Sheriff's office and Jail with the 1928 courthouse. 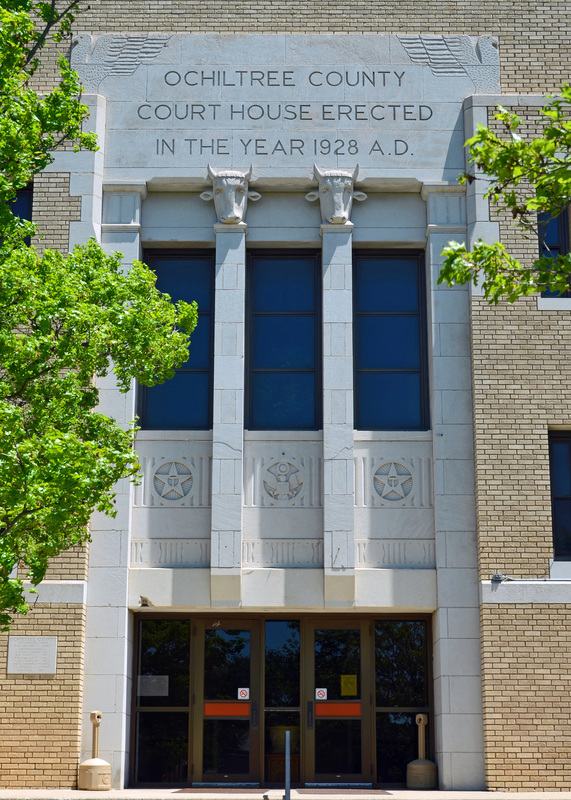 The library occupies the northeast corner of the courthouse square.